I got tired of my old 12 or 13" TV while watching '24', so I couldn't resist when I saw this classified ad advertising this 29" flatscreen Hitachi for only 25,000 yen (about $250). One of my friends helped me pick it up in his car about a month ago and since then I've been enjoying watching my DVD collection again, not to mention the TV series 'Lost'. 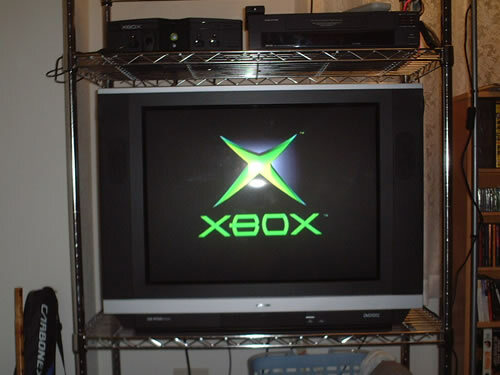 To be honest I don't watch much TV, but it looks good even just sitting there turned off! 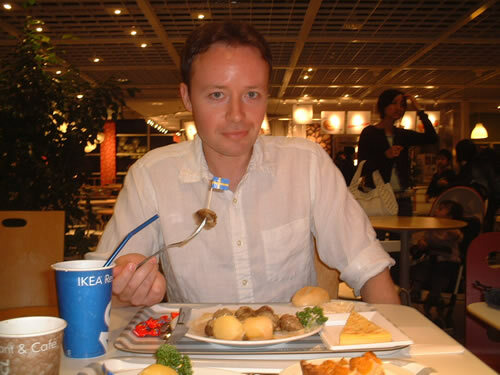 Ikea just opened a huge new store near Tokyo a couple weeks ago, you know, that Swedish furniture store? Anyway when I say huge, I mean really, really big. Not sure how many square meters it is but Kumi and I spent 3.5 hours there and we didn't even manage to see everything before they closed. They also have a massive cafeteria-like restaurant that seats maybe 500. Of course Swedish meatballs are on the menu and wow, they were good! I ate 15 of them plus potatoes, bread, a drink and a slice of pie. I also bought a bunch of low-priced home furnishings, nice job Ikea! It's become a Sunday morning tradition now. Every week I make my homemade pancakes for Kumi and I for breakfast. 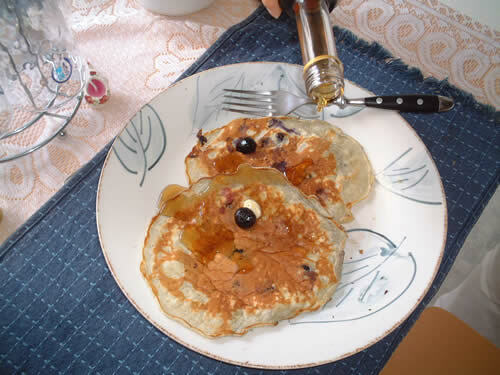 At first it was mainly apple pancakes but soon I started experimenting with different fruits. We've done: apple, blueberry, strawberry, kiwi, pineapple, and banana so far. Hard to say which was the best, probably apple or blueberry, or maybe strawberry.... Kiwi and pineapple were ok but sour fruit doesn't seem quite right somehow. Anyway needless to say, I've become something of an expert about pancakes, maybe I'll open my own shop? It was time for a new fridge. I'd been living with a small, 106 liter fridge for a year now and while it might be okay for some girly-man, I myself needed more. You can see from the right picture how the old one only comes up to my bellybutton, disapointing. 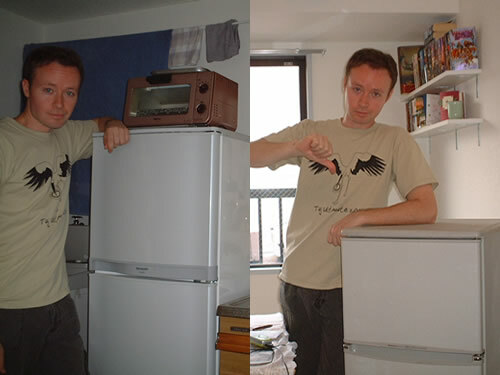 Fast forward to now and you can see me standing beside my new, shoulder level, 225 liter fridge, big enough for a man and maybe even his girlfriend should she drop by. Anyway pretty excited about my fridge, maybe I'll even have a fridge party to celebrate! 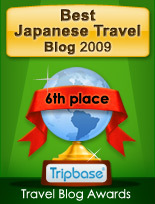 I think I've mentioned before just how expensive fruit is here in Japan. I was wandering around this speciality food store when I happened across a sale on mangoes offering two of them for 1000 yen (about $10). You might gasp, but seeing how the original price was only one mango for 1000 yen I went ahead and bought two of the most amazing mangoes it has ever been my pleasure to eat. 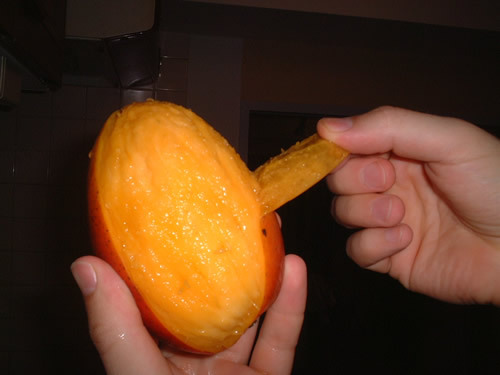 In India they say mangoes are the 'food of the gods' and I'm not about to argue. You can see how the peel slides effortlessly away from the firm yet juicy fruit. Worth it? Hell yes! It's summer now and in Japan that means weather that is a cross between the humidity of the Amazon jungle and the heat of the Sahara desert. In other words you often get thirsty. 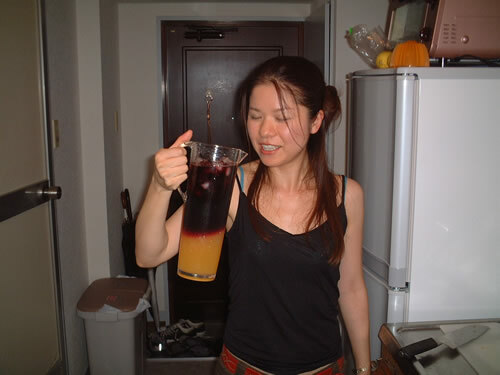 Using my ingenuity, I went out and bought a nice pitcher, some lemons and oranges, grabbed a bottle of wine that was leftover from my houseparty, made some ice in my new fridge (see above) and whipped up a batch of Mike's Sangria. Good? Well like Han Solo said, 'You know, sometimes I amaze even myself'. Meet my aloe plant. Bought it on a whim when I was shopping at IKEA for my coffee table. 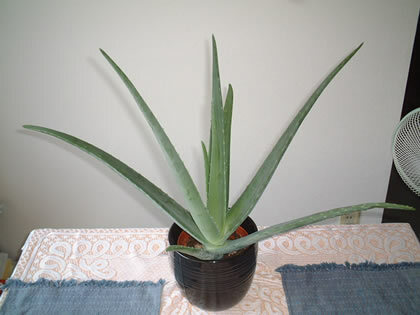 There's something about Aloe that I like, the big, soft, squishy leaves (are they leaves? 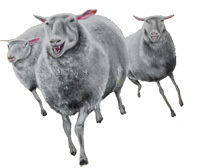 ), it's simple, prehistoric look. It has a certain beauty to it that modern stem and leaf plants don't. Not only that but it's useful! The gel inside of the leaf can be applied to the skin to help soothe burns and other problems. The other day, I had a bad sunburn so I took off one of the older leaves that was falling off naturally, opened it up and rubbed it on my shoulders. Better than skin cream! It's been years and years since I last held a paintbrush, I've forgotten how enjoyable painting is. I owe this new beginning to a small shop in Shibuya where I found an easel, (the only art supply I was lacking) that was on sale for half price. My oilpaint tubes, not having been used in 5 odd years, had to be opened with a wrench.... I decided to start with cats. I've painted lots of cats in the past, I've always liked them I guess. 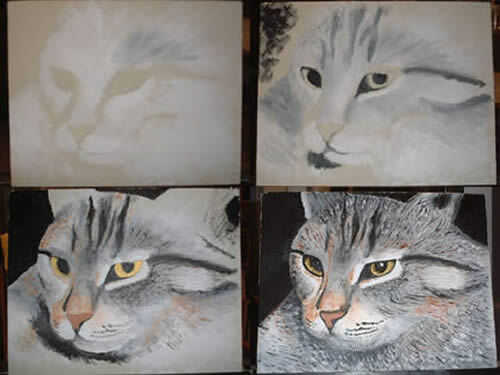 Here you can see 4 different steps in the painting process of cat #3. 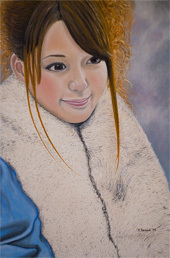 Pretty soon I'll be making a new oil painting page to display them all. I've done 5 so far with more coming! I've always wanted a dartboard, but where to hang it? I didn't want to be putting holes in my walls with a misplaced throw. 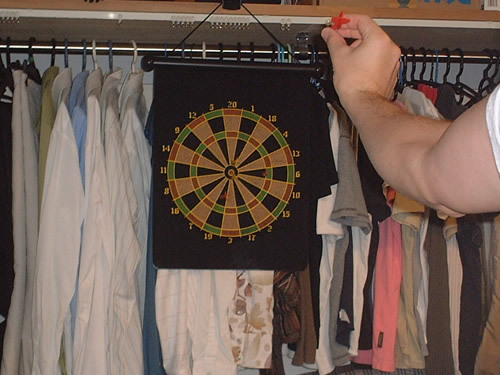 A magnetic dartboard solves the problem. You might think that the darts would fall off, or not stick well when thrown from far away, but the magnets are insanely strong and stick like glue, even when thrown from across the room. The board itself feels like cloth and is flexible enough to roll up, so it must be made of metal mesh or wire or something. These days I'm getting better and can usually make a bullseye one throw out of six.